Otz Delicatessen Cafe is a Port Douglas institution. OTZ is the kind of place you go to when you want some good home cooking. OTZ Cafe opens early every morning at 7.00am. They offer dine in or takeaway. There is a huge old style dining table as well as smaller tables. OTZ does fabulous coffee as well, using Grinders Coffee. Karen and Elizabeth are sisters and this dynamic duo is the heart and soul behind OTZ. Prior to setting up OTZ near Four Mile Beach in Port Douglas, Karen and Lizzy were the owners of Sydney’s Pool Cafe. For breakfast, OTZ has a selection of items on offer such as Spanish Eggs, Bagels, Banana Bread and Croissants. Offering a wide selection of delicious gourmet savoury dishes such as sandwiches, bagels, house made pies and modern salads, OTZ Delicatessen Cafe also has an extensive range of home made delectable treats such as cakes, slices, croissants and muffins on display in the window to tempt you. 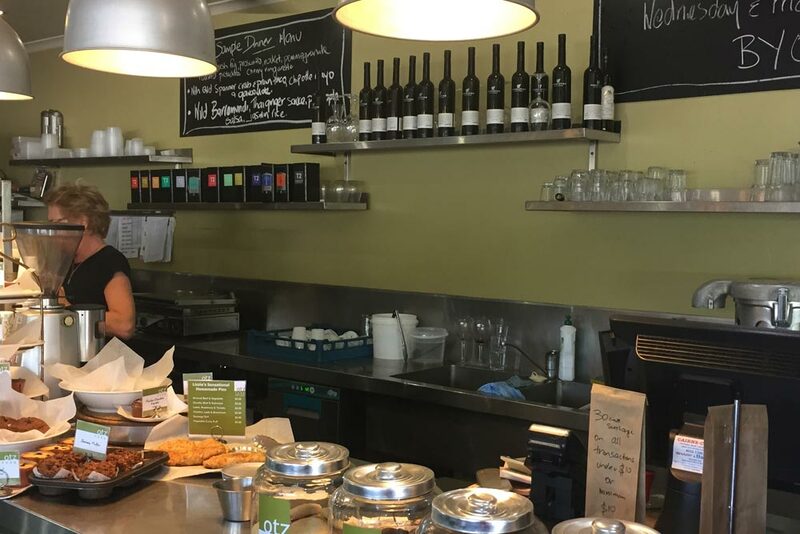 OTZ Delicatessen Cafe can also cater for people with gluten intolerance, vegetarians and vegans. OTZ provides a range of meals you can take home to heat up in your holiday accommodation such as lasagne, moussaka, and vegetarian cannelloni. This is a great option for those times when you crave some home cooking but can’t be bothered to cook. Or when you have had a big day out on the reef snorkeling! On Wednesday, Thursday and Friday evenings OTZ offer dinner service. The menu varies according to seasonality of produce. Seating at OTZ is limited so if you want to join in on a dinner with Lizzy and Karen, we suggest you book in advance. OTZ Delicatessen Cafe can also be booked as your own private dining room for evenings. This entry was posted in Food, Restaurants and tagged catering, gourmet, grinders coffee, home cooking.